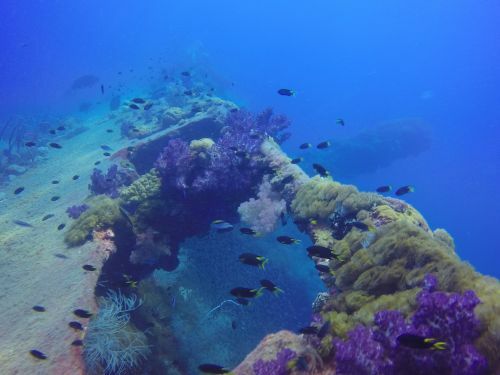 Shipwrecks are exhilarating dive spots and are also sites of huge archaeological significance. These time capsules hold culturally and historically important information and — tragically— even provide a resting place for some. By observing and promoting the following responsible practices, you’re proactively helping to preserve our precious heritage and ensuring that others will also have a chance to pay homage to the past. For information about maritime cultural heritage within the Marine Park and access to these sites, see Maritime heritage . The Magnetic Island Shipwreck Guide contains specific information when visiting shipwrecks around Magnetic Island. Historic shipwrecks over 75 years old are protected under national maritime heritage legislation. You must not collect, touch, move or interfere with artefacts or relics. You must have a permit to access the six Historic Shipwreck Protected Zones within the Great Barrier Reef Marine Park. Visit the Australian environment department to apply for a permit. There are maritime cultural heritage protection special management areas for two Royal Australian Air Force WW II aircraft wrecks. You can travel through these sites but stopping, anchoring and fishing are prohibited. Those wanting to access these sites for cultural heritage purposes need to apply for a permit. Visit the Australian National Shipwreck Database to report all newly discovered wrecks to the Australian environment department.